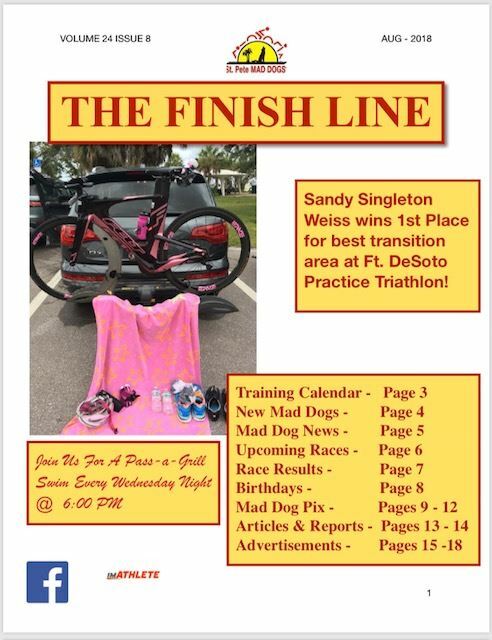 The Finish Line is a medium for communicating the latest club news, as well as an informational source for what’s happening in the sport of triathlon as it affects The St. Pete MAD DOGS. 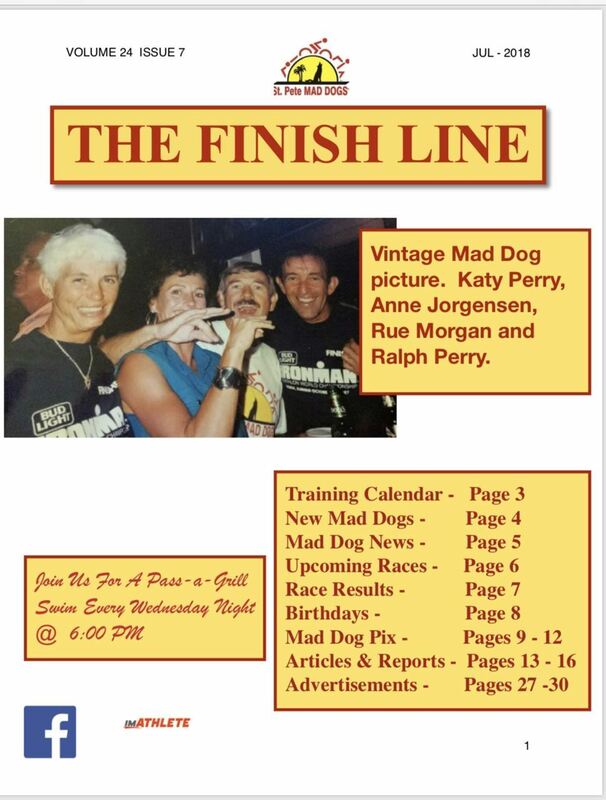 Articles published in “The Finish Line” may contain opinions that are not necessarily of the club as a whole. 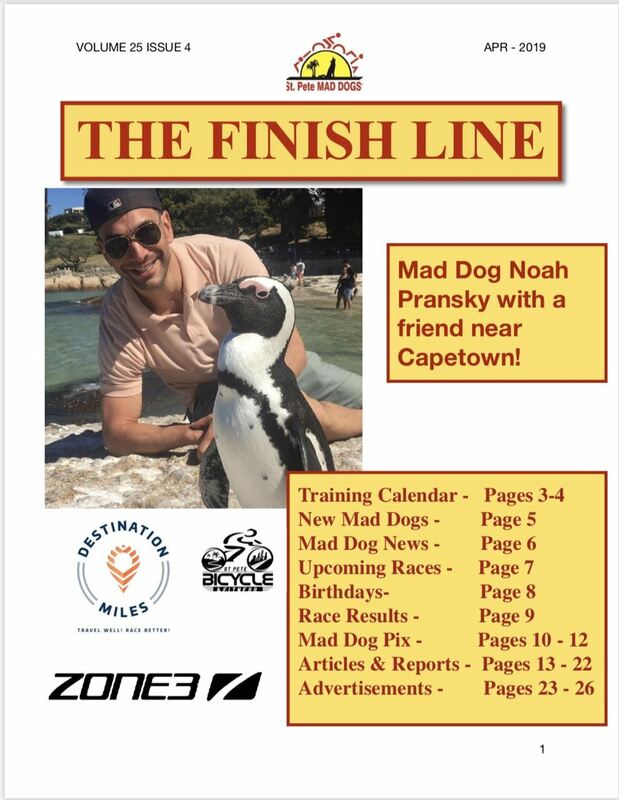 The newsletter deadline is always the 15th of each month. 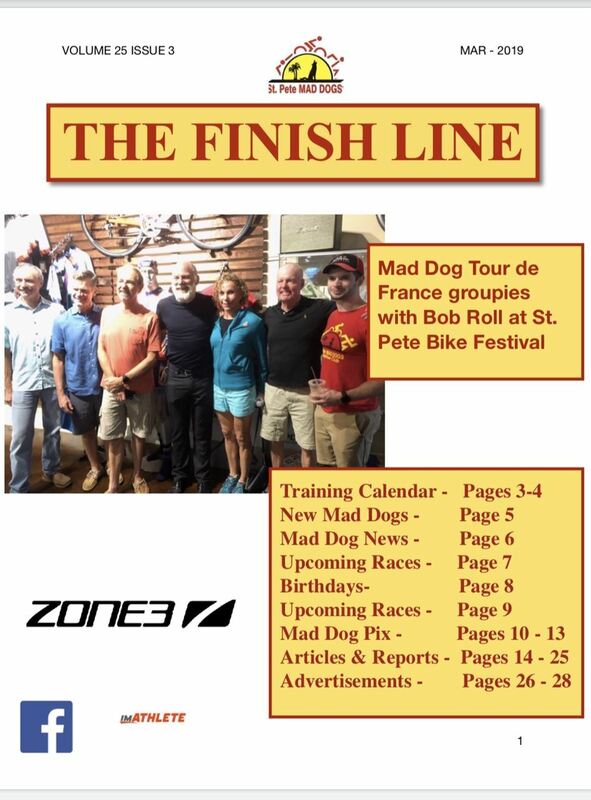 Comments or questions about the publication, as well as Letters to the Editor, may be sent to Newsletter@stpetemaddogs.com. 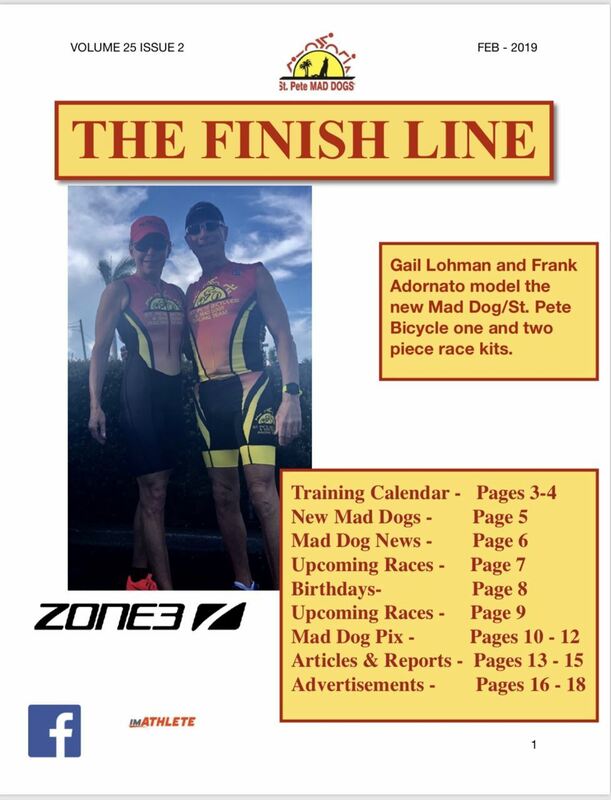 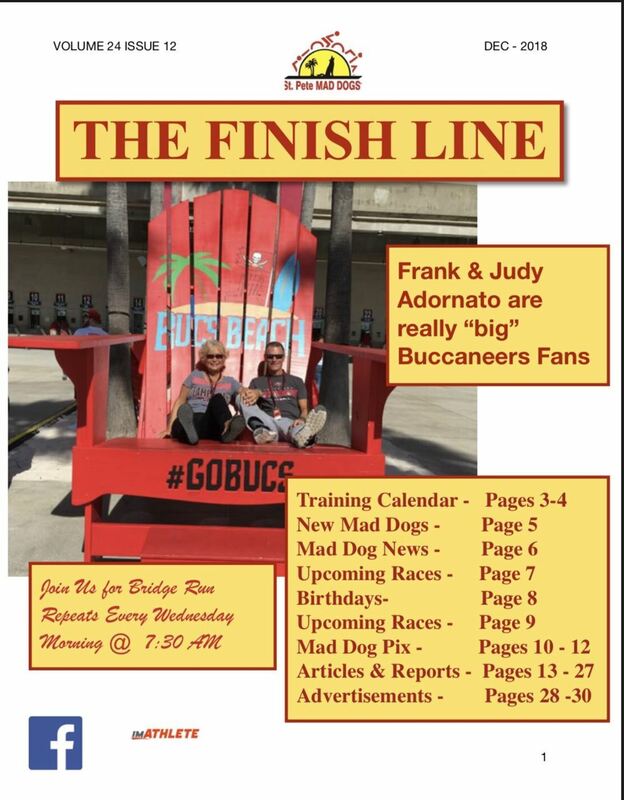 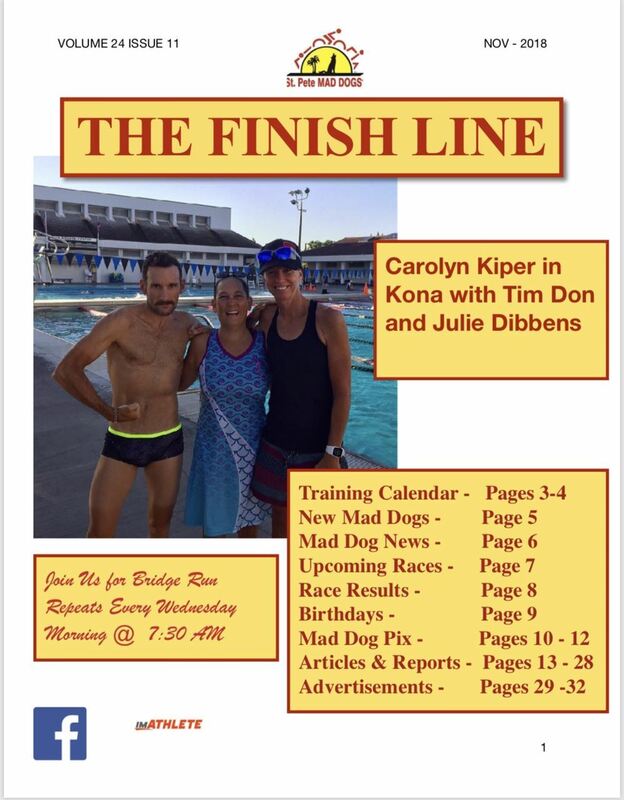 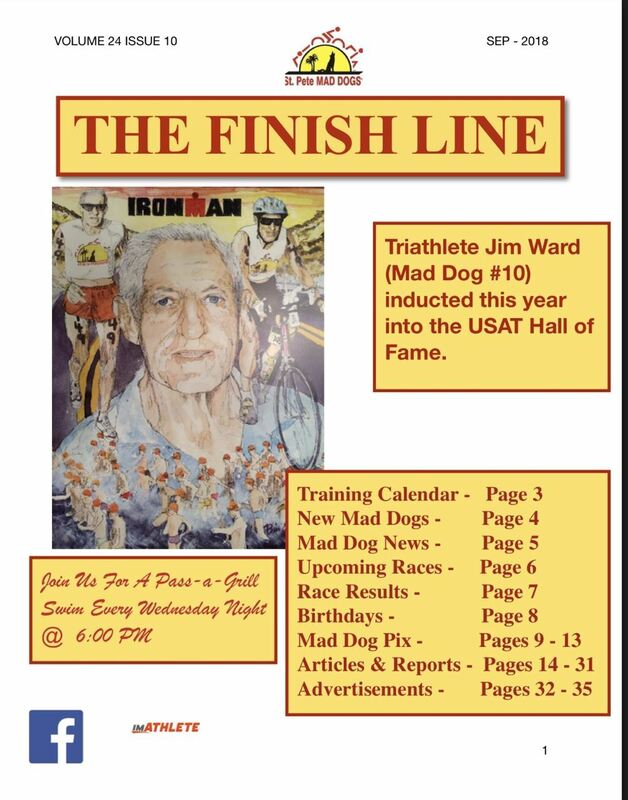 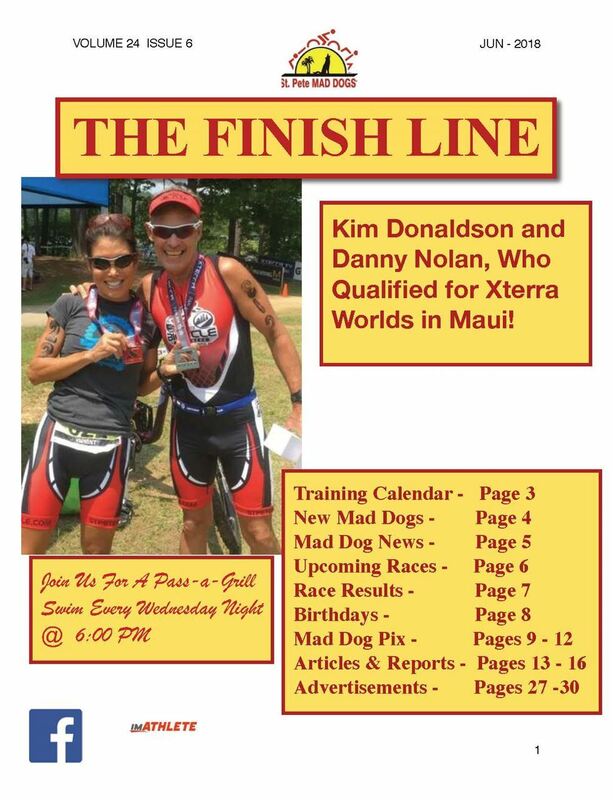 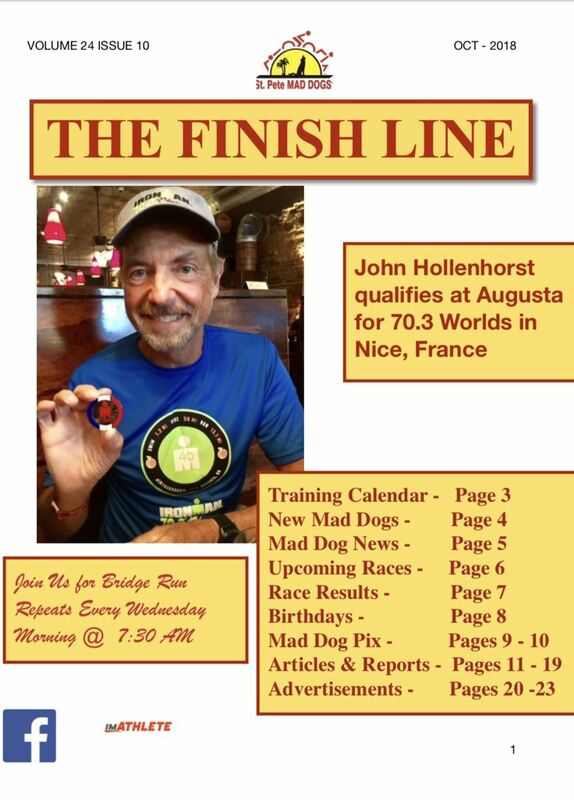 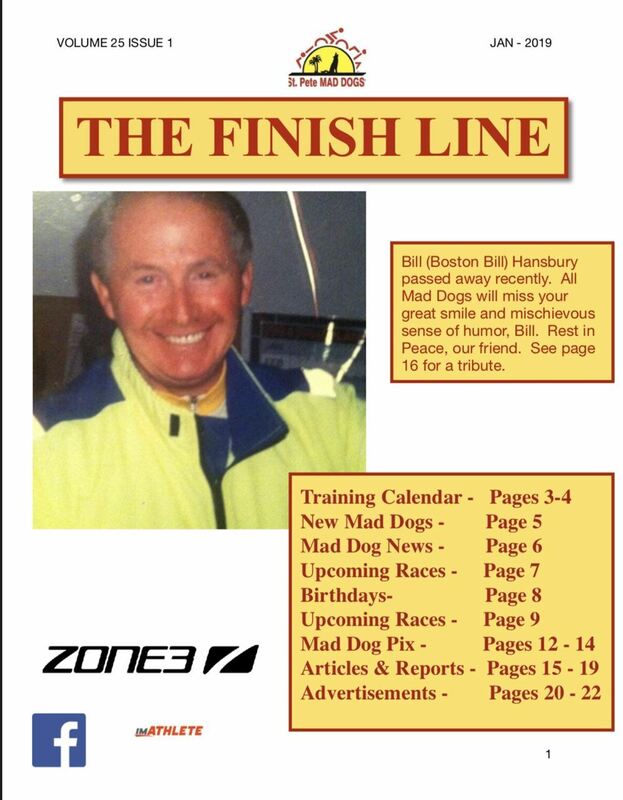 “The Finish Line” newsletter is published semi-monthly.